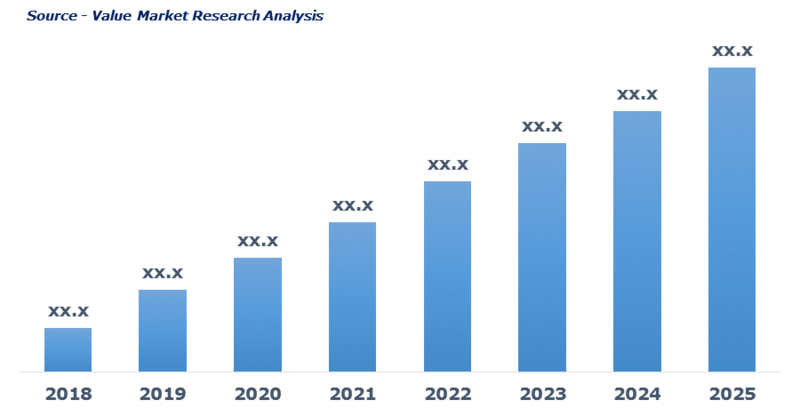 As per this study the Global Aeroderivative Gas Turbine Market was valued USD 2.2 BN (by revenue) in 2018 and is anticipated to reach USD 4.1 BN by 2025 with a CAGR of 9.5%. An aero-derivative gas turbine is a lightweight gas turbine that uses a mixture of fuel and air to achieve the desired output. It is the popular choice for small-scale power generation owing to its better flexibility, efficiency and reliability, high power technology, and low emission. It is generally used in the areas where a small footprint and lightweight equipment are needed. Aeroderivative gas turbines are widely used in electrical power application across aviation, oil & gas, marine and other end-user industries. The broad aeroderivative gas turbine market has been sub-grouped into capacity, product and application. The report studies these subsets with respect to the geographical segmentation. The strategists can gain a detailed insight and devise appropriate strategies to target specific market. This detail will lead to a focused approach leading to identification of better opportunities. Furthermore, the report comprises of the geographical segmentation, which mainly focuses on current and forecast demand for aeroderivative gas turbine in North America, Europe, Asia Pacific, Latin America, and Middle East & Africa. The report further focuses on demand for individual application segments in all the regions. The report also covers detailed competitive landscape including company profiles of key players operating in the global market. The key players in the aeroderivative gas turbine market include General Electric, KMPO Russia, Mitsubishi Hitachi, Pratt & Whitney, Siemens and United Engine Corp. An in-depth view of the competitive outlook includes future capacities, key mergers & acquisitions, financial overview, partnerships, collaborations, new product launches, new product developments and other developments with information in terms of H.Q.